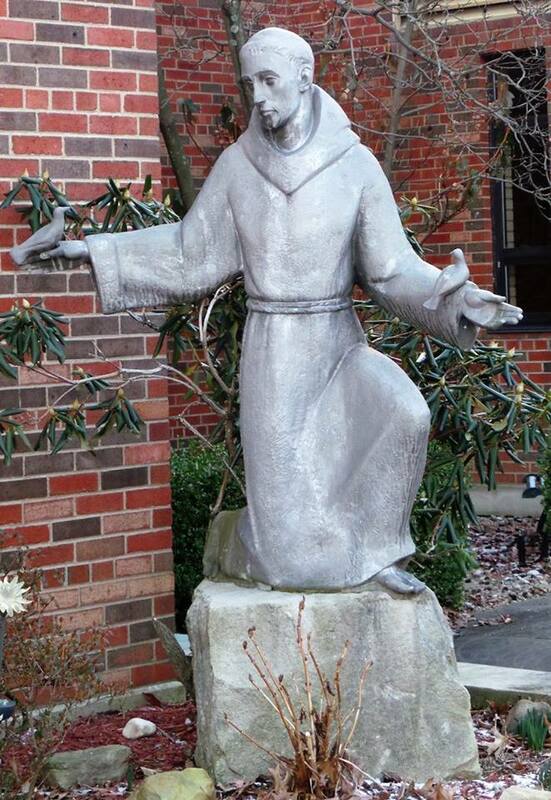 As Franciscans, I am sure that we all know the importance of prayer in our lives. 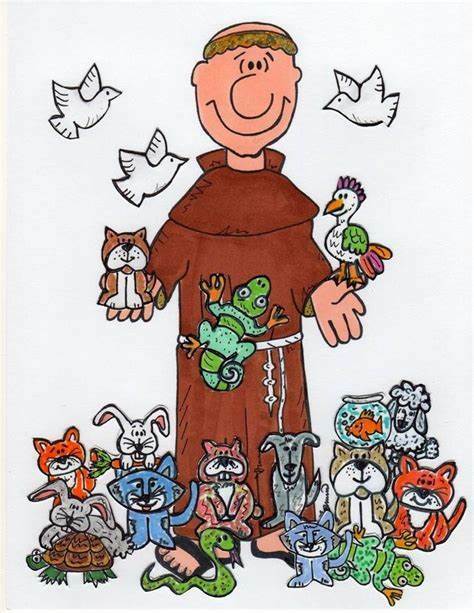 This, of course, is not something reserved to the followers of St. Francis. All Christians are called to be people of prayer because it is prayer that intimately links us with our Lord and God. All of us, I believe, grew up with certain prayers that are familiar to us. We know, for example, the Our Father- the great prayer that Jesus himself taught us, or the Hail Mary, which is a combination of various quotes surrounding the Annunciation to Mary by the Angel Gabriel that she would be the mother of God, and Mary’s visit to her cousin Elizabeth. You may know other prayers that are familiar, the Hail Holy Queen for example, or the Memorare. 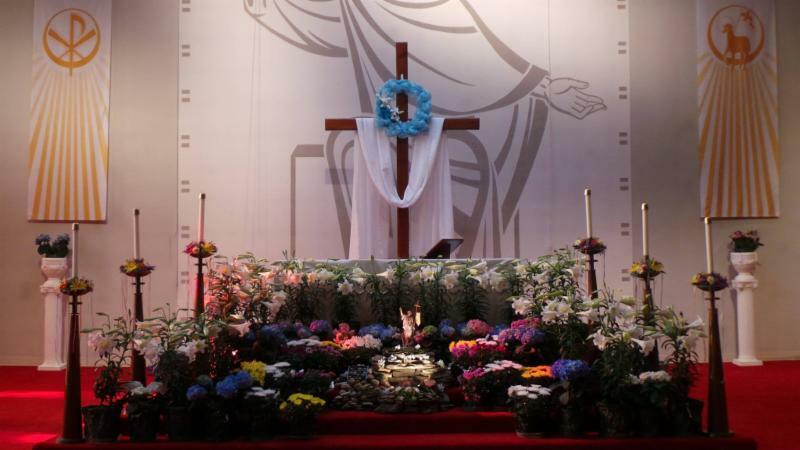 Perhaps you have a favorite prayer or novena that you say. The Mass itself is the greatest prayer of the church, when we gather together in memory of Jesus at the Last Supper and celebrate his passion, death, and resurrection. The Liturgy of Hours is also something familiar to us and should be prayed every day. 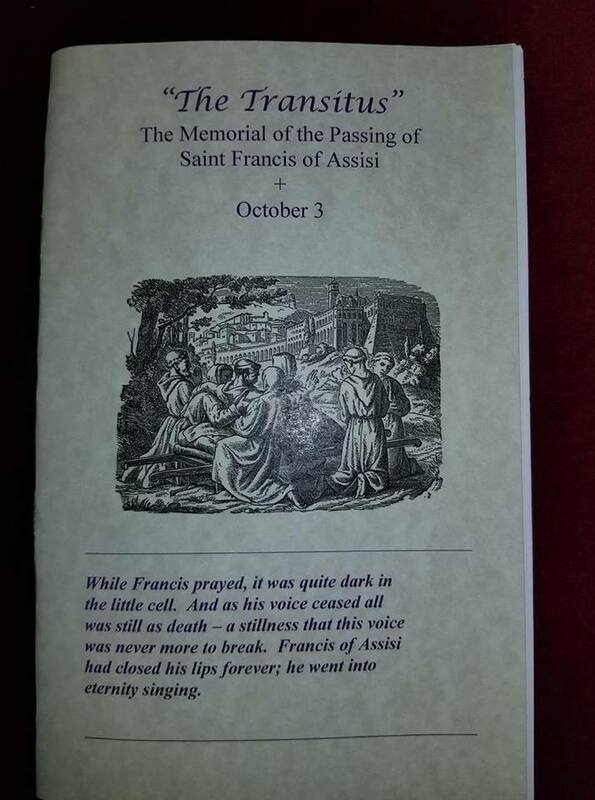 In some of our friaries, we incorporate the Hours with the celebration of the conventual Mass. The other Hours mark special times of the day when we should gather to pray. Perhaps the rosary is important to you, or the Franciscan Crown. We know that October is the month of the Holy Rosary. There are other forms of prayer. Morning or evening prayers that we may say at bedside, or grace before meals, or simply asking God to help us in a certain situation. We don’t need to use formal prayers- we can pray in our own words. Or we can pray without using words at all- as we meditate. We certainly realize that we don’t have to be in church to pray. In fact, we can pray anyplace. And prayer isn’t just a one way street- we also need time for silence to let God speak to us. After all, prayer is our communication with God. Although this story is obviously meant for humor, it still has its valid point. As Christians, Catholics, and especially as Franciscans, we need to make sure that prayer is always an important part of our lives. ﻿With blessings and peace . 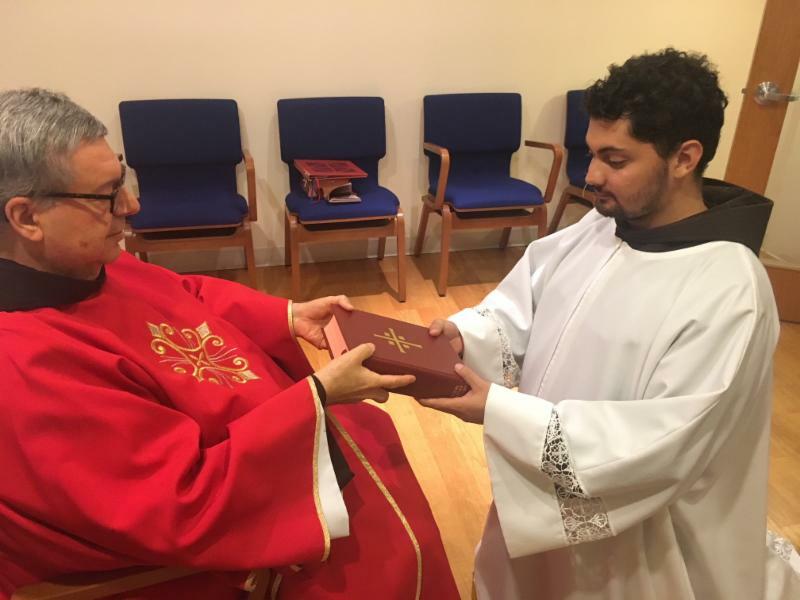 Friar Victor Treminio, OFM, who spent part of the summer at Our Lady of Peace Friary in Brooklyn, NY, has received the Ministries of Lector and Acolyte from our Provincial Minister Friar Robert Campagna, OFM. at the Provincial Curia chapel. 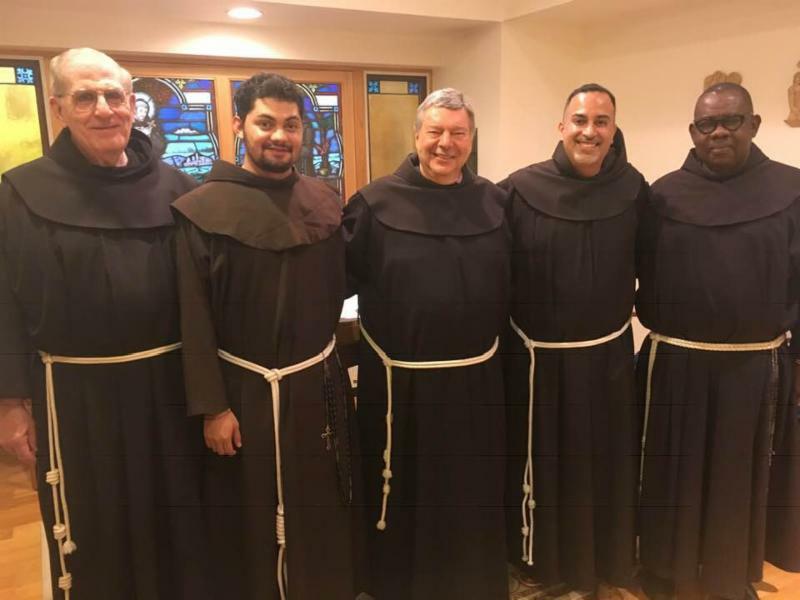 Present were Friar Patrick Boyle, OFM, Vicar Provincial; Friars Orlando Ruiz and Courtland Campbell from Our Lady of Peace, and Friar Vincent Ciaravino. 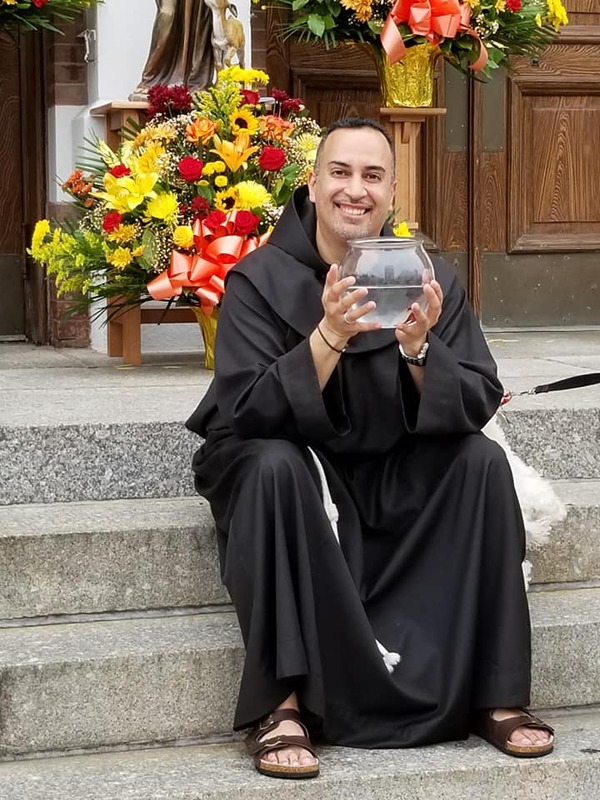 Friar Victor departed Brooklyn on September 30 and has returned to the Convento San Francesco in Rome to continue his post-novitiate formation and studies. Congratulations, Victor, and best wishes for a successful year. With regards to summer ministry it was an excellent summer for me. 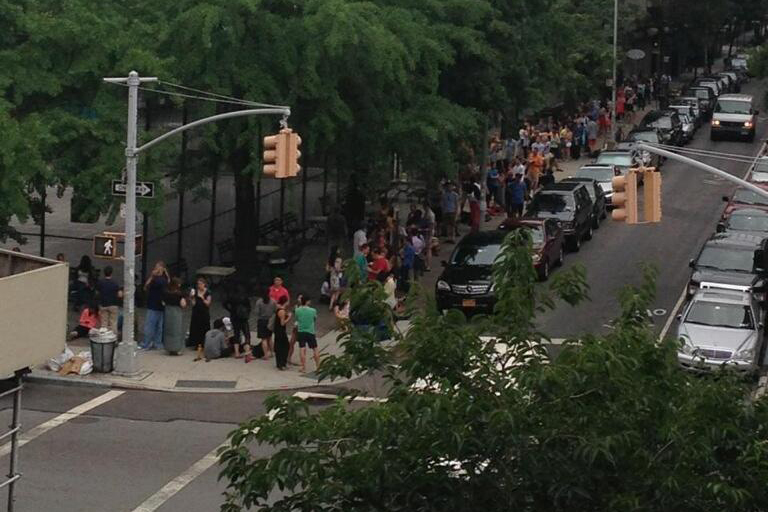 In June I was in Brooklyn at Our Lady of Peace with Orlando and Courtland. 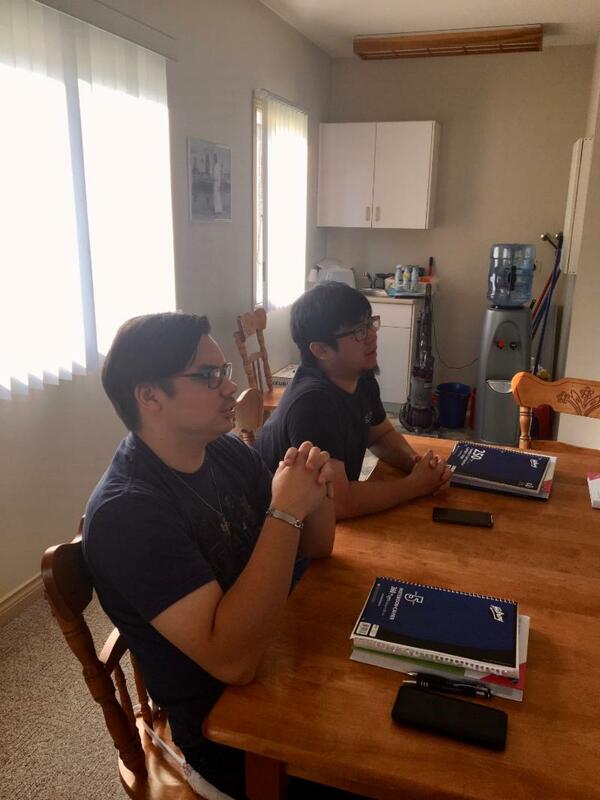 It was a good experience of fraternal life, they were both very welcoming. 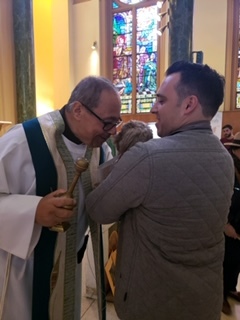 I loved the diversity of the parish, the English mass and the Spanish mass, as well as the traditional Latin mass and the Neo-Cats are all present there. It was a great learning experience for how to deal with different groups and try and make them one parish community. I also got to practice and study Spanish a good deal while I was there. Afterwards I assisted at a meeting in Wappingers Falls for OFM secretaries of formation, vocation directors, and directors of ongoing formation. That was a good experience as well being with brothers from all over the ESC, talking about the beauties and challenges of Franciscan life and how to apply them specifically to ongoing formation. Then I went to Central America for the next 6 weeks. It was my first time in this part of the world and it was truly eye opening. In short I loved it. The people were incredible and their faith deeply touched me. I saw such poverty there but somehow a deep joy and a love of life. 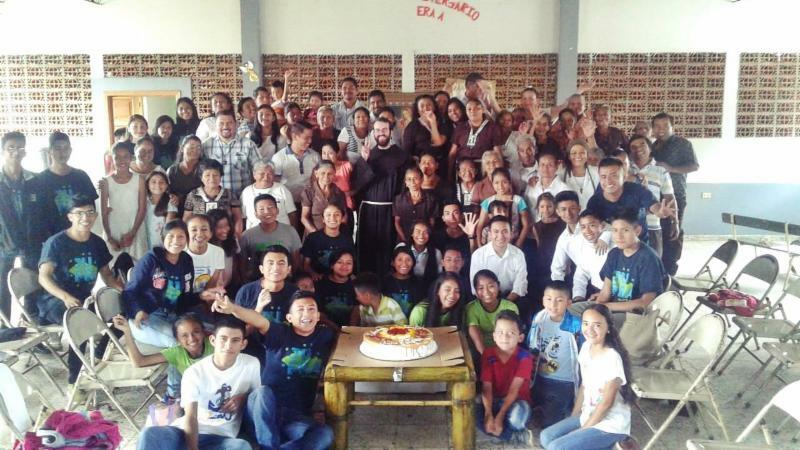 I was most of the time in Ataco, El Salvador at Immaculate Conception parish with Fr. Rafael. I also was able to spend a few days in Tegucigalpa, Honduras at the school there and I visited Valley of the Angels in Guatemala- all amazing and beautiful ministries of the province. My Spanish also improved considerably and the people were so willing to help me and teach me. The way of life was pretty different, so many stories of ways I got in trouble for "thinking like a person from the US!" But I consider myself so blessed to be able to have visited and experienced the missions in Central America. I currently have four classes this semester so I am pretty busy! This is my last year at St. Xavier University, so in the spring I will be getting my BA in philosophy. Pretty excited about that. Hawkins and Dmitry in Italian class with Friar Peter. 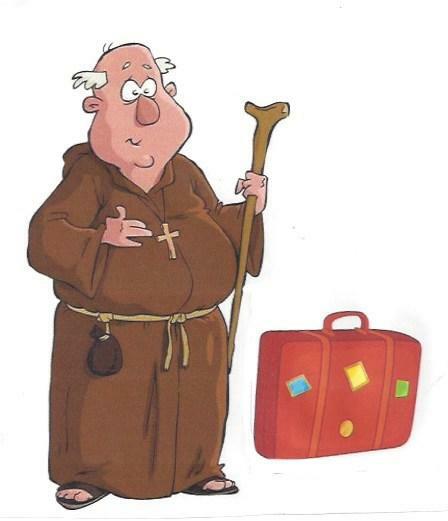 The Provincial Minister would like to remind all the friars to inform him if you will be traveling outside the country. This is listed in our Provincial Norms (and also a matter of courtesy). 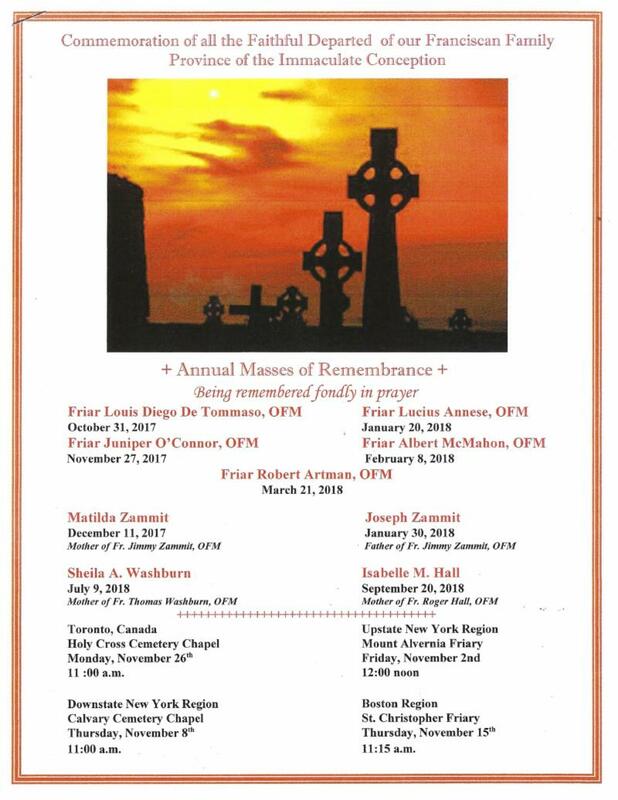 Please RSVP if you wish to attend any of these Liturgies. Find a Friary...and a whole lot more! 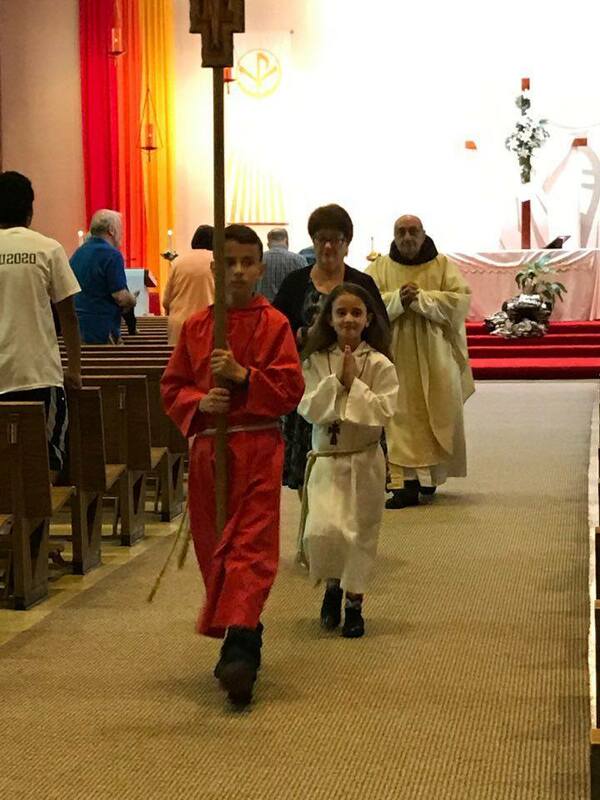 https://usfranciscans.org/locations/ — All OFM churches, shrines, missions, chapels, retreat houses, ministry sites, and educational institutions in the US. 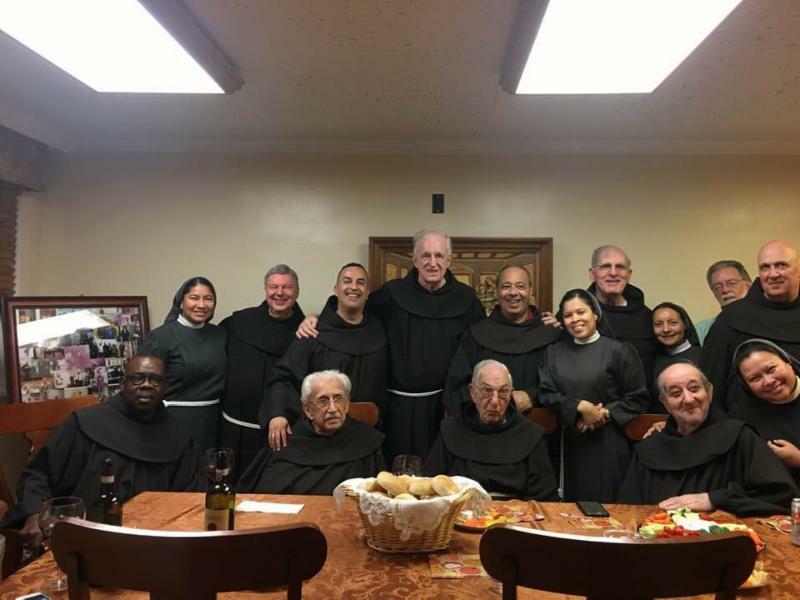 https://friars.usfranciscans.org/locations/ — All of the above plus friar residences (retirement houses, houses of formation, etc.) and provincial offices. The general public can find places to worship, retreat houses, etc., while friars have access to information on all our locations. The information is current as of that which will be published in the back of the 2019 Ordo. 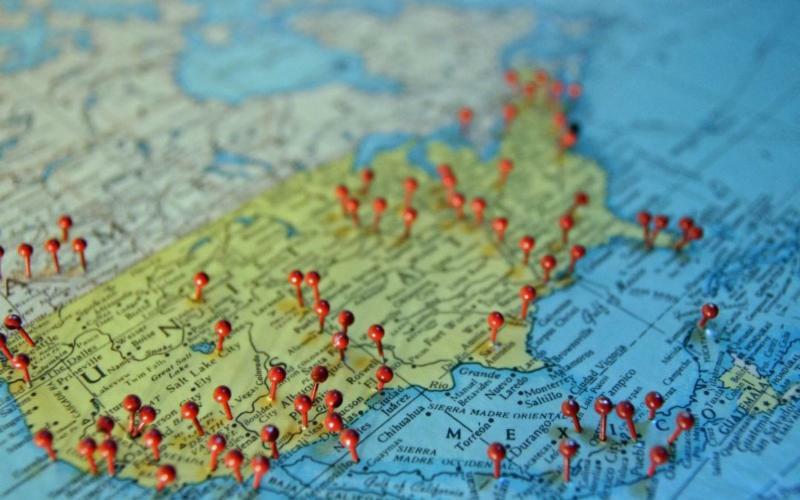 Both maps are completely searchable by location (the viewer's actual location or any specified location) so people can find, say, retreat houses in their area or a Franciscan church when traveling to another city. Viewers can also generate directions to the selected location. ﻿ Fr. 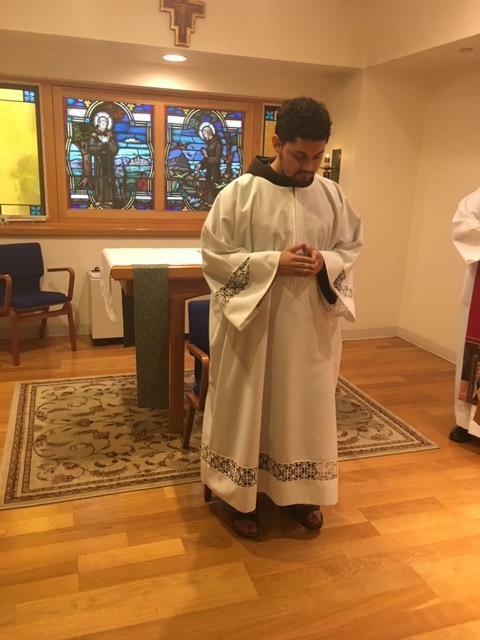 Joseph Nathan, OFM, From St. Christopher Friary, Boston, has returned to his home Province of Singapore. 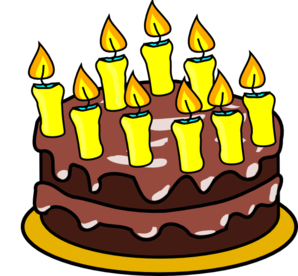 Take time to wish our friars a Happy Birthday! 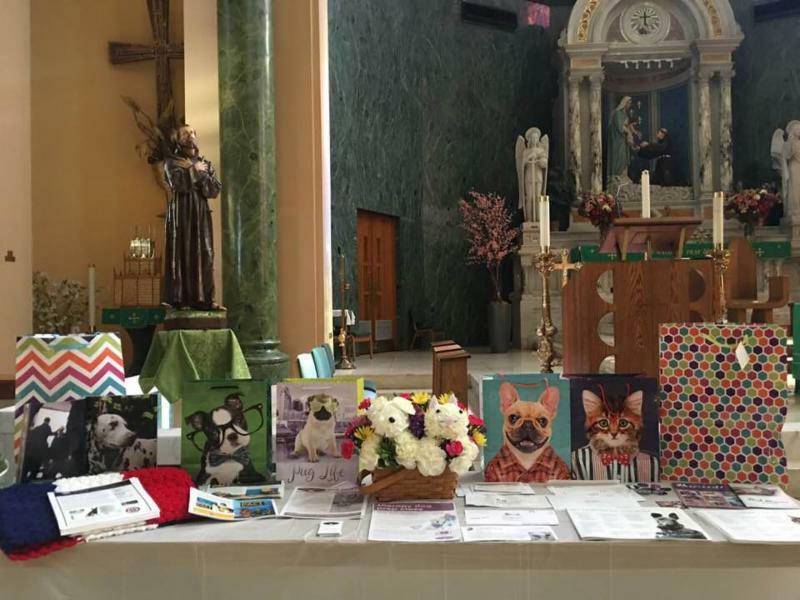 On Sunday, October 14, 2018, with the implementation of On Mission for the Church Alive , the parish renewal campaign for the Diocese of Pittsburgh, Friar Alexis Anania, OFM and Friar John-Michael Pinto, OFM, completed their ministry at St. Pamphilus Church in the Beechview section of Pittsburgh. 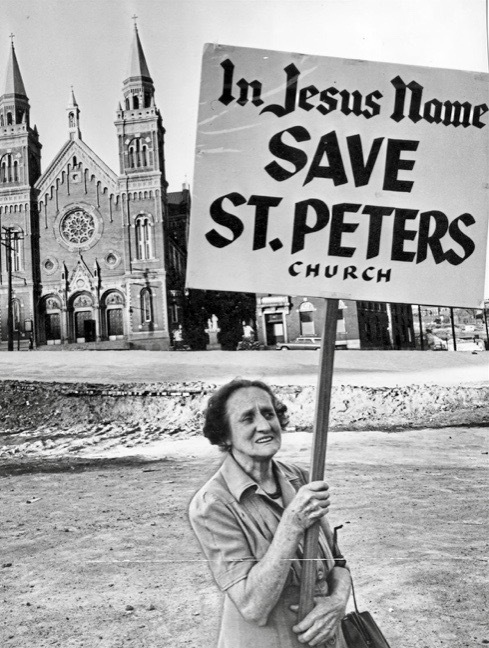 The parish was established in 1960 and has been staffed by the friars of our province for 58 years. 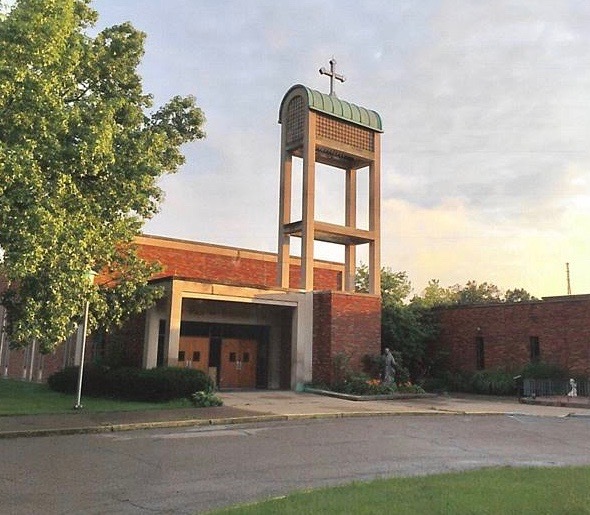 St. Pamphilus now becomes part of the Beechview/Brookline Parish Grouping, consisting of St. Catherine of Siena Church in Beechview, and Our Lady of Loreto, St. Pius X, and Resurrection Parishes, all in Brookline. 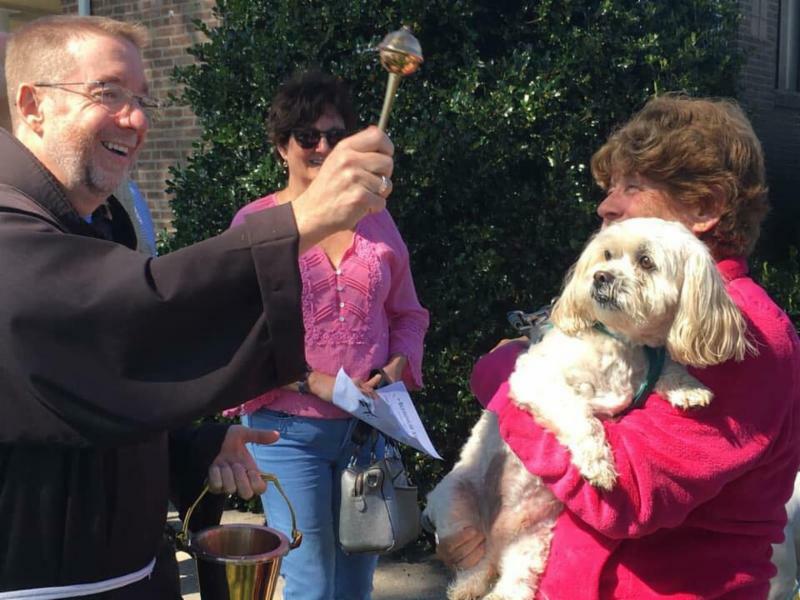 The new parish will be staffed by priests of the Diocese. 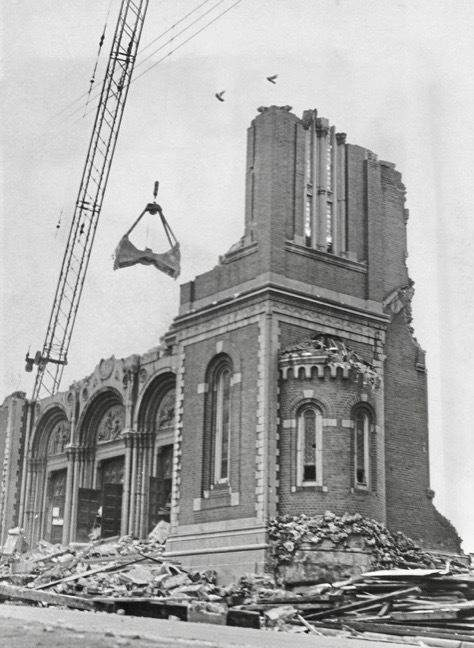 The new amalgamated parish will, in the future, decide what buildings it will need to adequately continue its ministry. 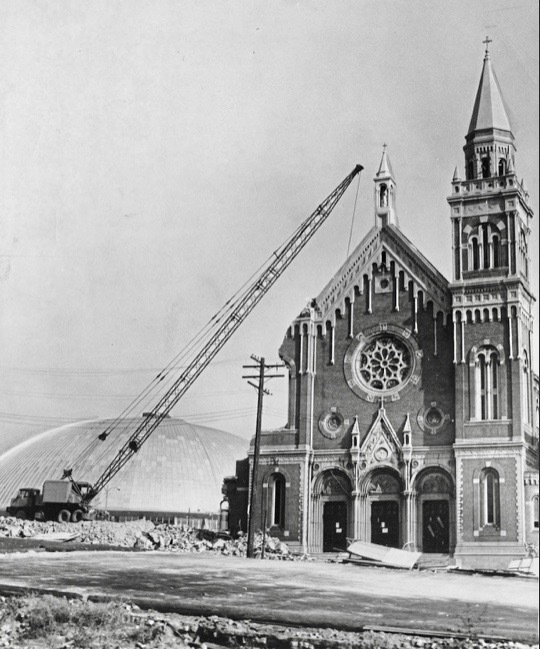 St. Pamphilus was established as the second parish in Beechview, when then bishop Cardinal John Wright offered the parish to the province in replacement of the Church of St. Peter the Apostle in the lower Hill District, which had been closed and razed to make room for the urban development around the new Civic Arena. Friar Theodore DiMasi, OFM was the first pastor. 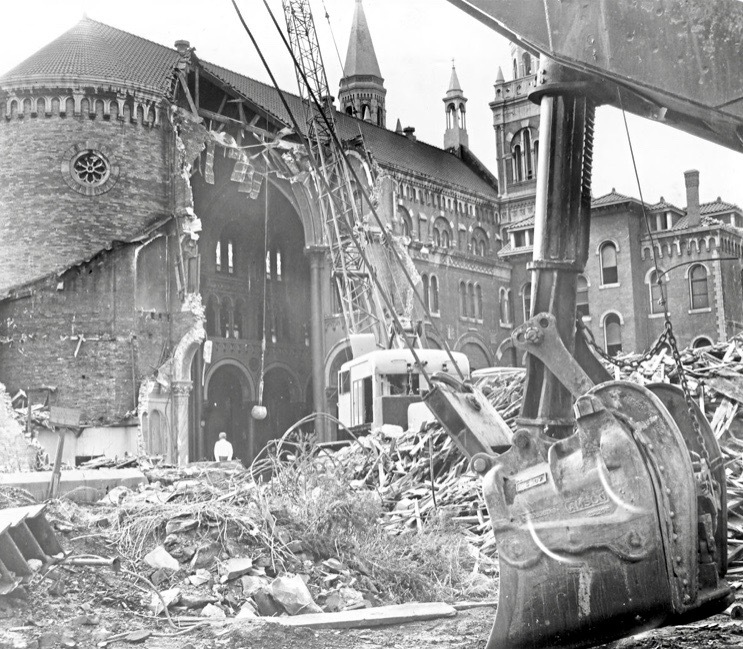 With our withdrawal from St. Pamphilus, we no longer have provincial ministries in the Diocese of Pittsburgh. 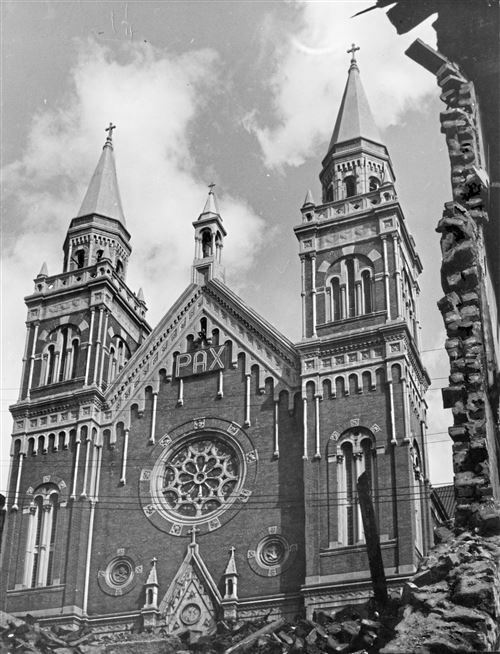 Besides St. Pamphilus (and formerly St. Peter the Apostle Parish), the province had staffed Our Lady Help of Christians in the East Liberty section of Pittsburgh, and Serra Catholic High School in McKeesport. 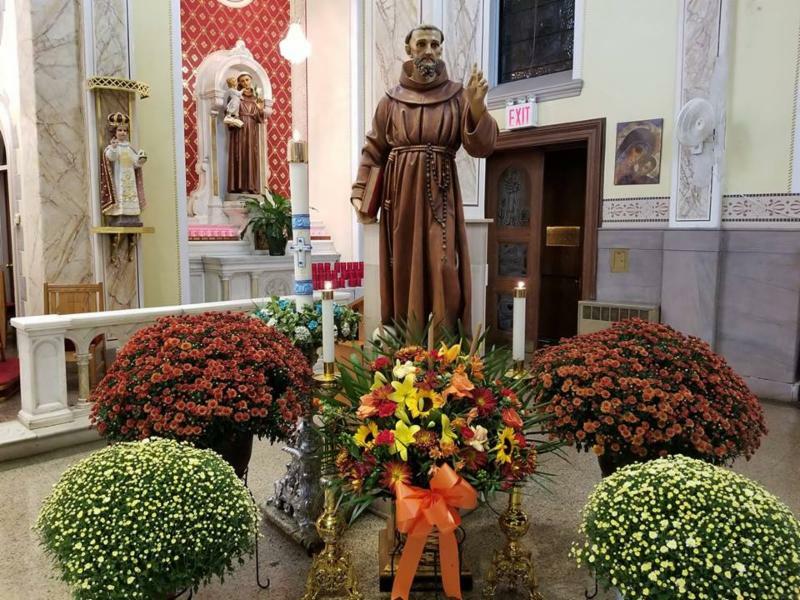 What There are many traditions for the friars and our ministries surrounding the Feast of St. Francis- the celebration of the Transitus on October 3, marking the passing of St. Francis from death to eternal life; the Solemnity of St. Francis on October 4, marked with Solemn Liturgical celebrations and festive meals; the Blessing of Animals and Pets, celebrated in many of our friaries and parishes. 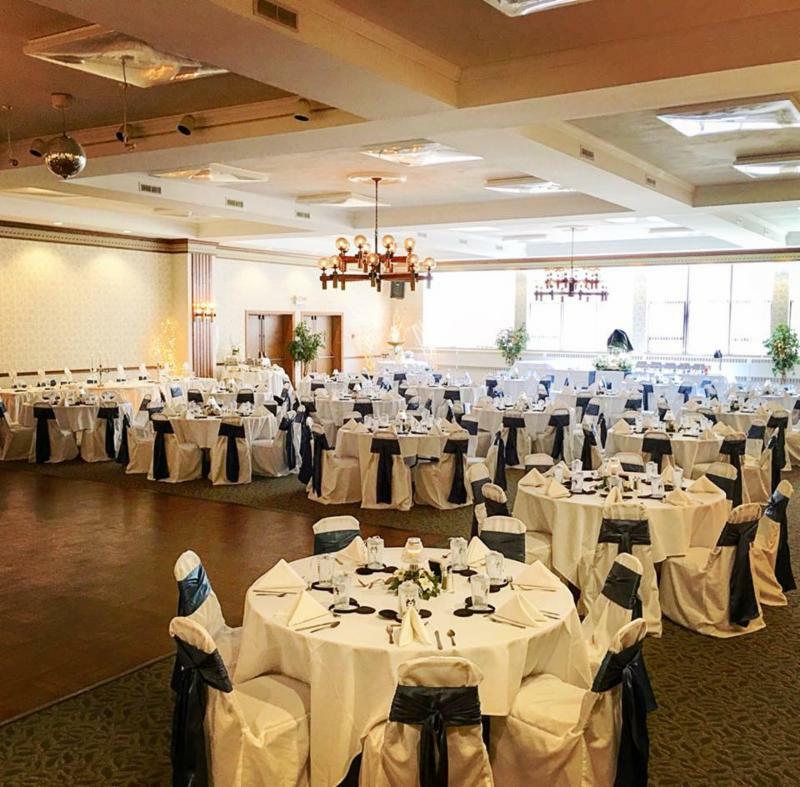 Below are some photos of these events. The September Tempo Forte of the General Definitory began at 09:00 on the 10th of the month. The Minister General, Vicar General, and each of the General Definitors spoke about the activities in which they had been engaged since the the conclusion of the previous Tempo Forte (July 16th to 27th, 2018). That same day, the Visitator General for the General Curia Fraternity, Br. Hugh McKenna, presented his Visitation Report to the General Definitory. 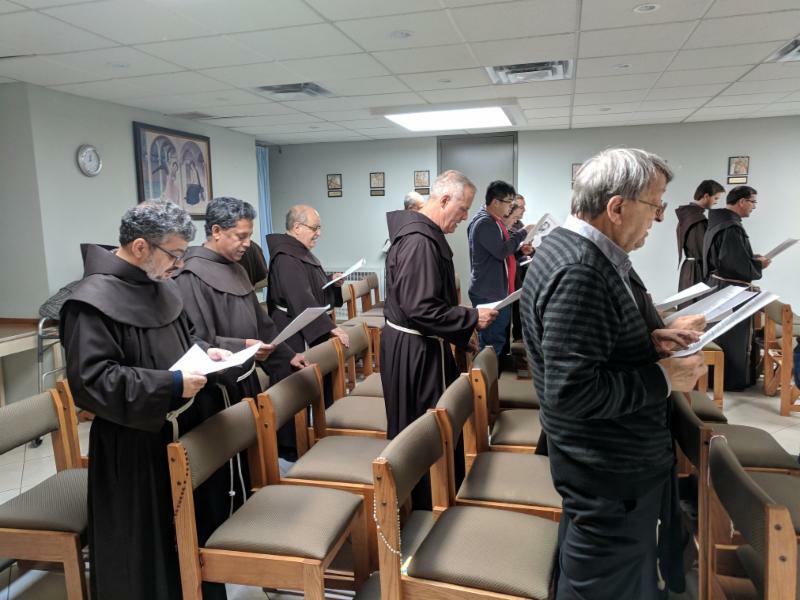 The report contains recommendations for improvements in the quality of the fraternity’s life of prayer and service, as well as addressing the Curia offices’ activities for the good of the entire Order. 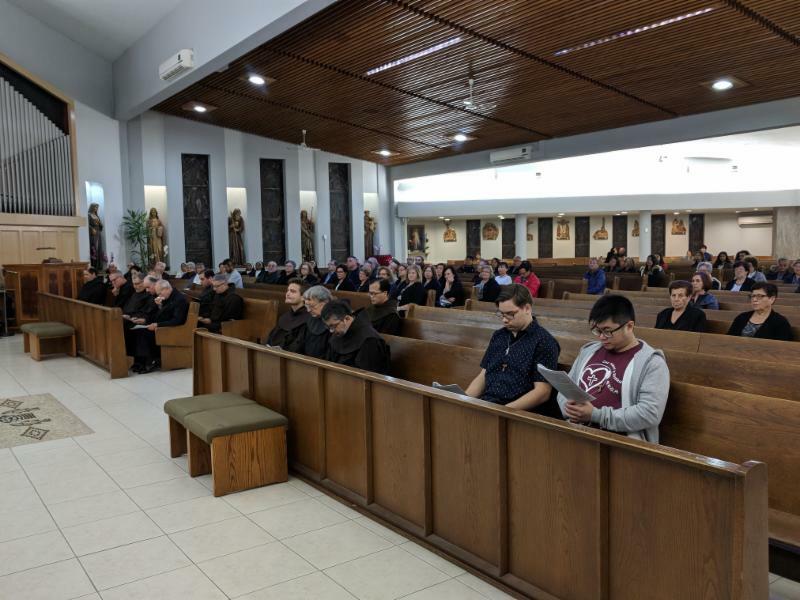 Working sessions were spent discussing the final document of the 2018 PCO (which is in its final phase and is being translated into the official languages ​​of the Order), and the General Definitory’s letter for the Solemnity of our Seraphic Father, Saint Francis. At 11.30 on Thursday, September 13th, Brs. 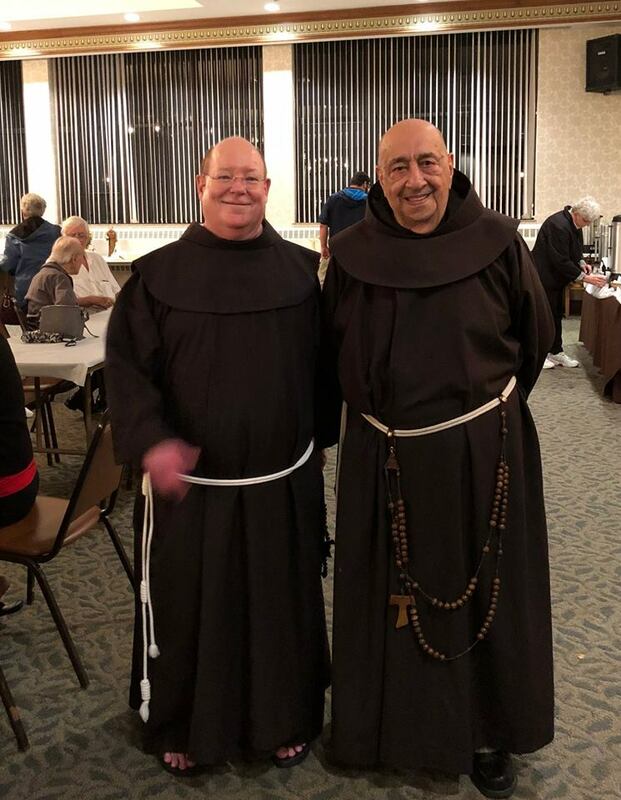 Michael and Julio César went to the General Chapter of the Capuchin Friars Minor and officially greeted the new Minister General, Br. Roberto Genuin, OFMCap. On Friday September 14th, the Definitory was warmly welcomed by the Fraternity of San Sebastiano alle Catacombe (Rome), where, with the professional assistance of Br. 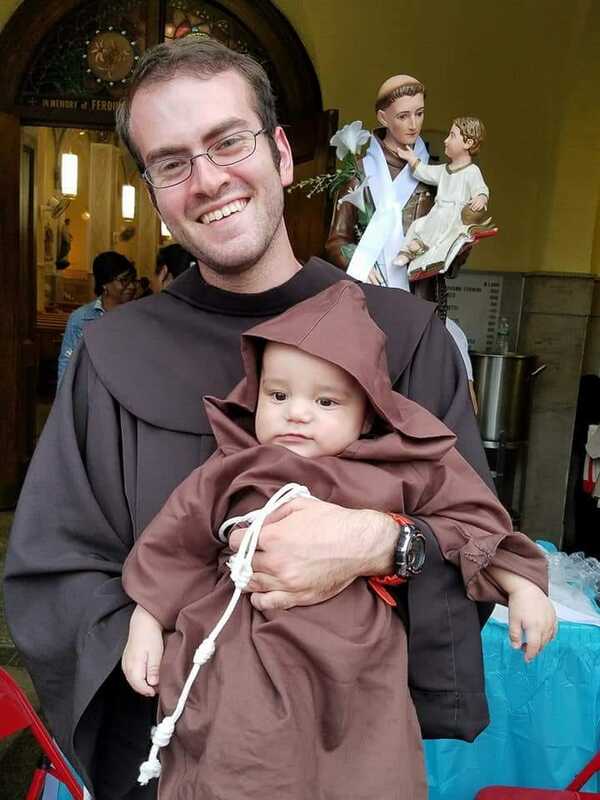 Matteo Giuliani, they engaged in an evaluation of the fraternal life and mission of the General Definitory during the three years since the last General Chapter. During next December’s Tempo Forte the General Definitory will devote an additional two days to devising further improved ways of working. On Sunday 16th and Monday 17th of September, the Minister General and members of the Definitory went to the Sanctuary of La Verna for the celebration of the Feast of the Stigmata of St. Francis. On Tuesday 18th, Br. Michael, Minister General, accompanied by Br. Antonio Scabio, Definitor General, participated in the Chapter of Mats that saw three Italian Provinces gather together in Baronissi (Salerno). Br. Silvio Rogelio de la Fuente was appointed as Local Bursar, and Br. Angelo Flores Guerrero as Local Assistant Bursar, of the Fraternity at St. Anthony’s International College, Rome. Br. Juan Isidro Aldana Maldonado was elected Vicar of the Santa Maria Mediatrice General Curia Fraternity, with Brs. Cesare Vaiani, Rufino Lim, and Marco Mendoza Martínez named as members of the Discretorium. They will cooperate with with the recently elected Guardian, Br. Saúl Orlando Flores Interiano, and with Br. Tiberiusz Maka, Local Bursar. Br. John Puodziunas, General Treasurer, attended a session during which a variety of financial issues were discussed. 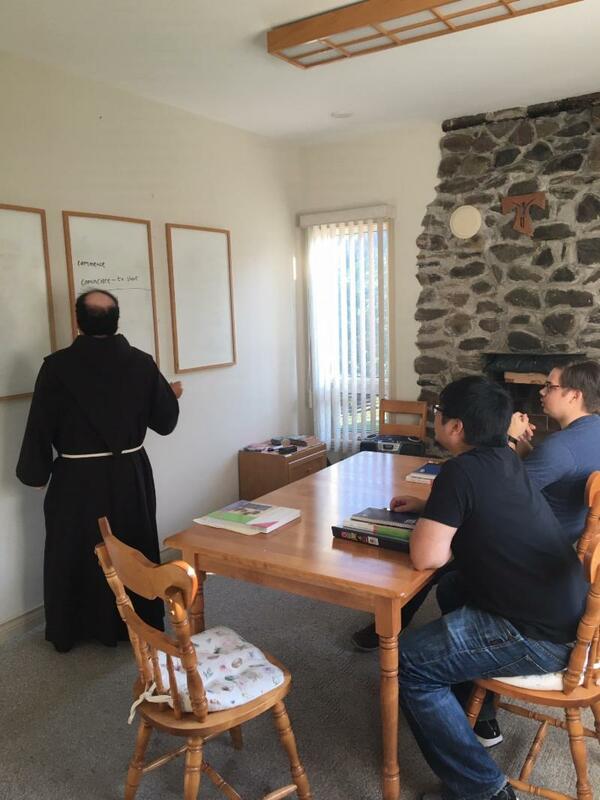 Following advice from experts in the field, who have been studying the matter for some time, an exploratory structure has been developed that will lead to the establishment of a Foundation for the collection and distribution of funds for the various Missionary and Formation projects of several of the Order’s Entities. Extra-Capitular elections of some Guardians in a few Entities of the Order were ratified. The Report of Br. Paul Smith, Delegate of the Minister General for the Custody of St. Francis of Assisi in Papua New Guinea and the Solomon Islands was tabled and discussed. Some obediences to return home from missionary projects dependent on the Minister General were granted, as were some obediences to take part in other projects. The September 2018 Tempo Forte ended following the morning session of Friday 21st. The General Definitory will meet for the next Tempo Forte beginning on Monday November 5th 2018, and during the second week of Tempo Forte (November 12th to 16th), the Minister General and Definitory will meet with the 22 General Visitators appointed during 2018. 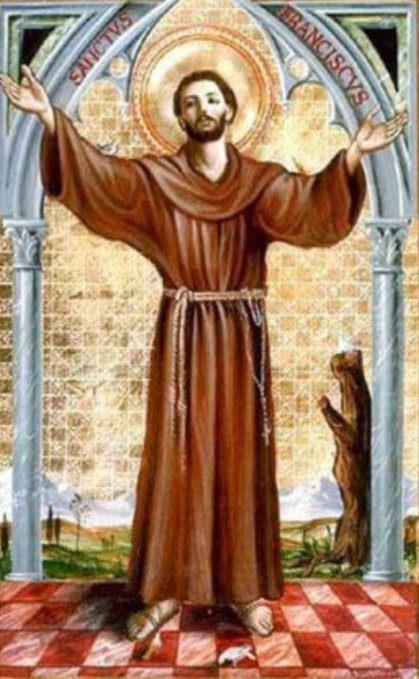 To the praise of Christ and of the Poverello of Assisi. Amen! 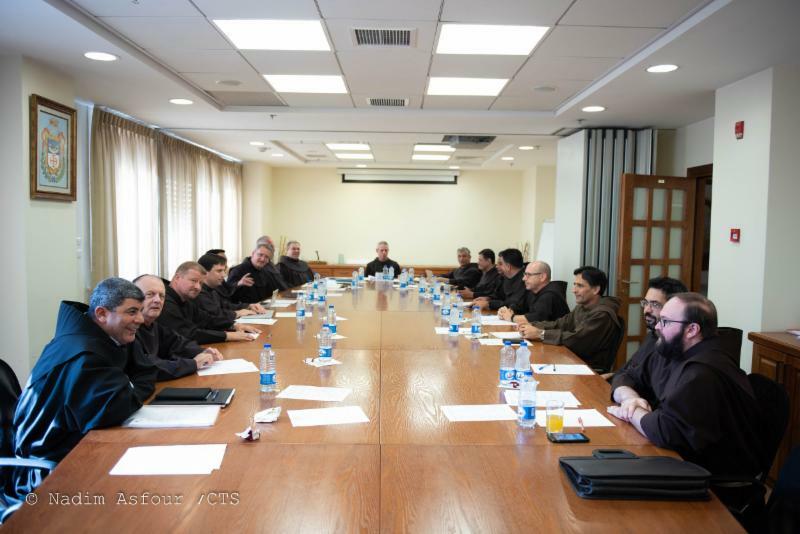 "And The Lord Gave Me Brothers..."
From the 10th to 15th October 2018, the OFM General Definitory visited the friars of the Custody of the Holy Land. The program allowed the General Government to devote time to learning about the significant aspects of the life and mission of the Custody, visiting the holy places and taking part in various celebrations with the Fraternities and the local Church. The following events were organized: a meeting of the Minister and General Definitory with the Custos and the Discretorium of the Custody of the Holy Land, in the convent of Saint Saviour in Jerusalem; an assembly with the brothers in formation of Saint Saviour’s and Ein Karem; Mass in the shepherds’ field in Bethlehem; a procession to the Grotto of the Nativity and visit to the fraternity of Bethlehem; a visit to the archaeological museum of the Holy Land in the Convent of the Flagellation in Jerusalem; the Via Crucis on the streets of Jerusalem; a visit to the Basilica of the Annunciation with prayer of the Angelus in Nazareth; a visit to the Lake of Galilee and a Feast in the Sanctuary of Capernaum; a meeting and Mass with the inter-obediential fraternity in Emmaus Qubeibeh; a meeting in the friary of Saint Saviour with the brothers of the Custody, a celebration of Vespers and festive dinner; a visit to Gethsemane and the Mount of Olives; and a Mass of the General Definitory in the Holy Sepulchre. The Minister General Br. 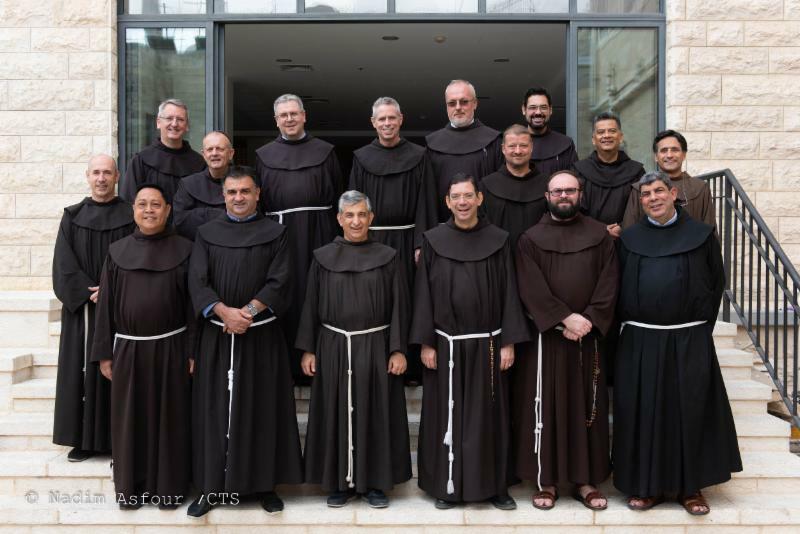 Michael Perry, OFM, with the Vicar General and Definitors, gave thanks to God for the fraternal closeness of the brothers of the Custody of the Holy Land, for their ongoing service to the local Church and pilgrims in the Holy Land, for the life of the friars minor in dialogue with the different cultures and beliefs. Their prayer is the prayer to the “Most High, almighty, good Lord”, that He might assist the Order with his grace, to live the Gospel of our Lord Jesus Christ, in fraternity and minority. For the last eight years, I have been honored to serve with Silent Children’s Mission, a nonprofit Catholic charity which seeks to relieve the suffering and neglect of the poorest of the poor. 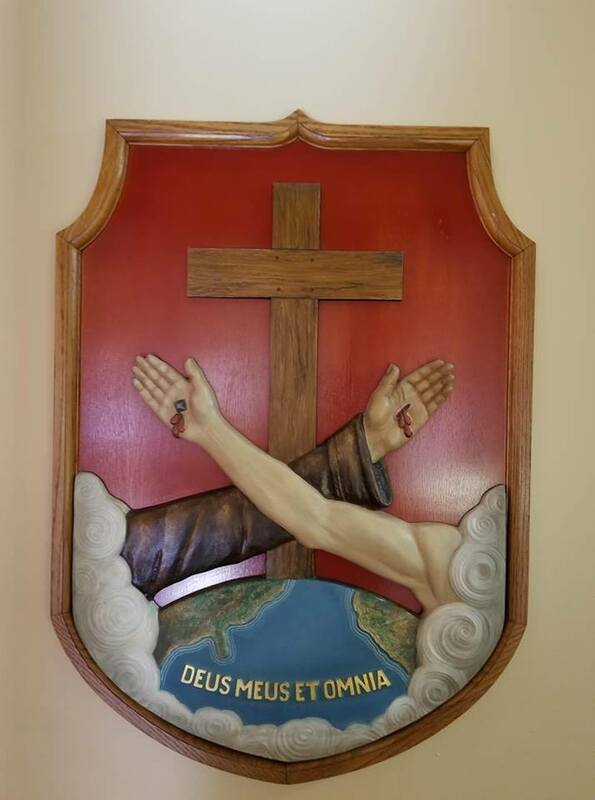 Officially registered in Toronto, Canada in 2011, and directed by Frankie Burg-Feret, a Minister of her Secular Franciscan Community at our St. Francis Center in Orangeville, Canada, our organization is guided by the charism of St. Mother Teresa. We are active in various countries in the developing world, and our focus is on those who do not have a voice, especially abused children and women. The goal is to clothe, feed and educate these little ones and to let each of them know someone cares, that God has not forgotten them but loves them tenderly. We presently help the poor in eleven countries including Haiti, Guatemala, Honduras, Malawi, Zambia, and Liberia. Our funds are directed to lay missionaries, priests and religious working at ground level in order to assist them with their programs in healthcare, education, nutrition, spiritual care and counselling. We value the relationships we have with our missionaries as our friendships in Christ enable us to work effectively for the children in need. 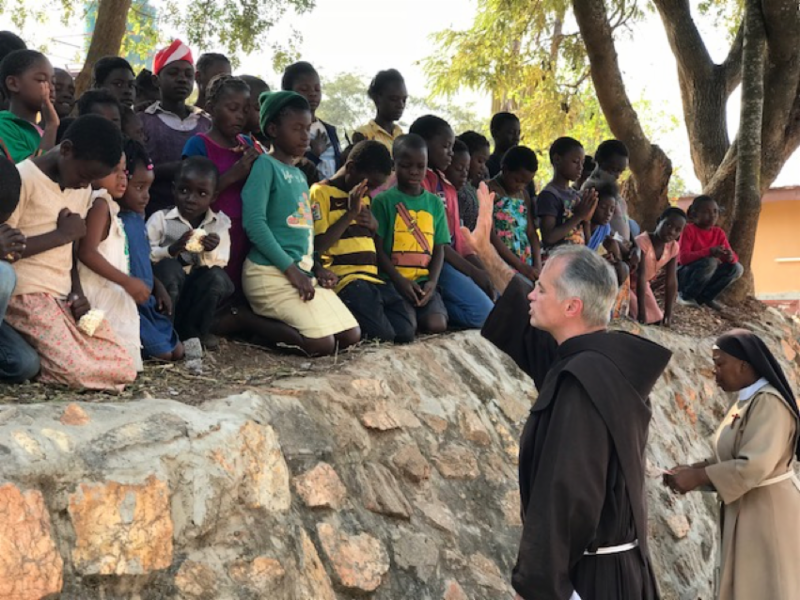 We recently visited the Secular Franciscans and Franciscan Sisters in Chililibombwe, the Poor Clares in Lusaka and the Sisters of Charity in Ludzi who are selfless, Christ filled individuals who do the work of many. They welcome our visits and the opportunity to share about our work and our faith with a day of recollection and prayer. On our recent mission visit in Zambia and Malawi, we reflected on Pope Francis’ recent Exhortation Gaudete et Exsultate where he encourages all people to respond to God’s call to holiness. Our Angels were given a unique opportunity by a very dear friend named Maria Pivaral, who helped prepare our girls to FLY in the future. 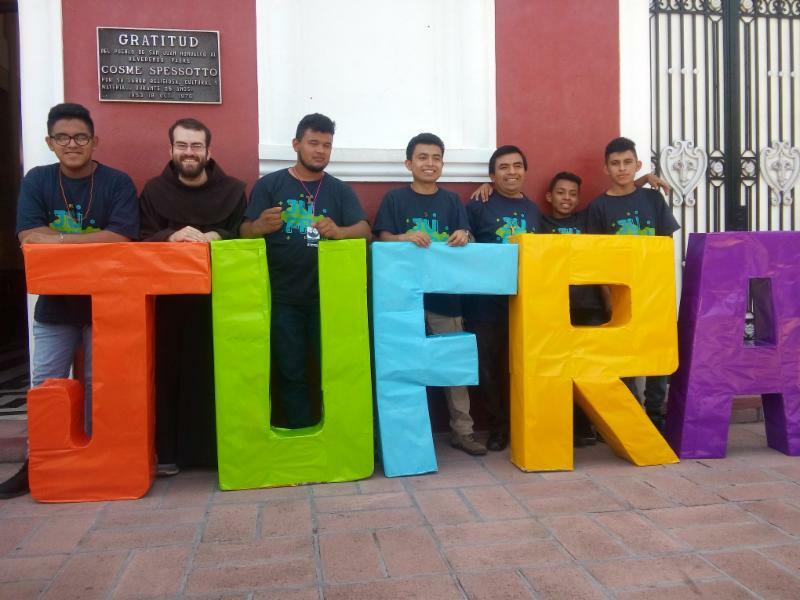 With the help of Thrive and the Güino & Field Office, ten of our students have received full and partial scholarships in Seminars developed by Thrive. Friar Michael blessing the children at the Poor Clare convent. During our visit, we were able to see the many fruits of our work in Malawi and Zambia. What brought us great joy was our supported children who had recently graduated from school and who have either found employment contributing to their communities, or are moving on to higher education. Each story is unique and a testament to the transforming love of Jesus Christ. Gabriella’s story of abuse and extreme poverty would almost seem hopeless but with determination she just graduated from Agricultural College. 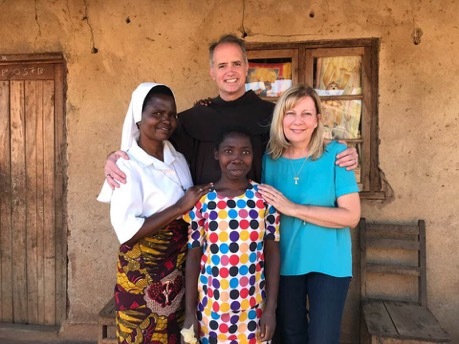 Maria, a child from a very poor family in the village near the convent struggled academically until Sr. Bernadette’s faith in her and her direction to tailoring school helped this child to blossom! And Thokozani, an orphan after her beloved mother died of AIDS, recently graduated from high school and has just started college to become a nurse. A visit to the SCM sponsored farm in Mkanda, Malawi left us in wonder at God’s many gifts as we saw the once barren, dry land transformed into a productive, self-sufficient farm providing food for the poor and jobs to many. These are some of the inspiring stories of God’s work made possible by the many benefactors of Silent Children’s Mission. We are very grateful for Bishop Kasun’s endorsement. 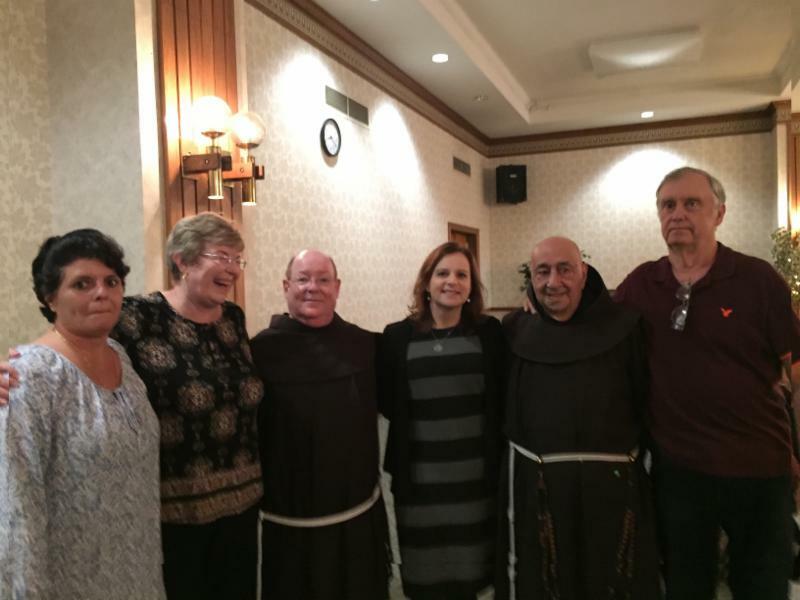 Sr. Bernadette, Friar Michael, and Frankie with Maria (wearing the dress she sewed). 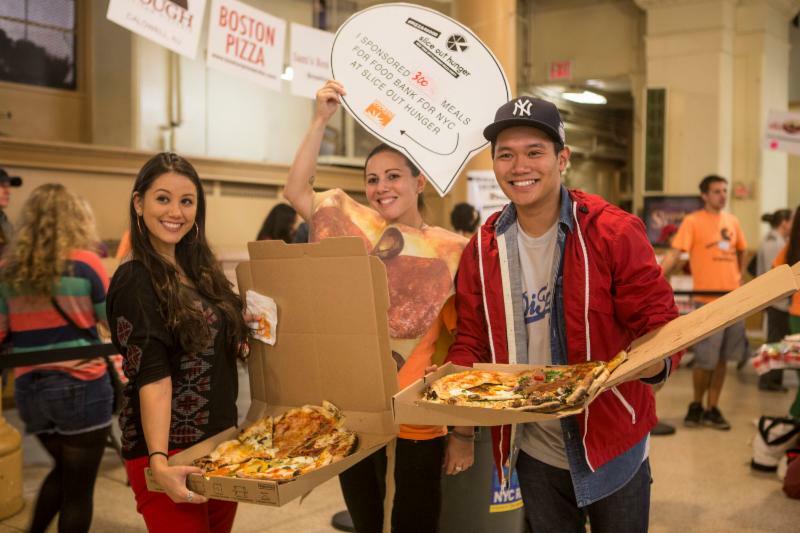 Saint Anthony’s in New York City hosted the annual “Slice Out Hunger” event, billed as New York City’s largest pizza party. 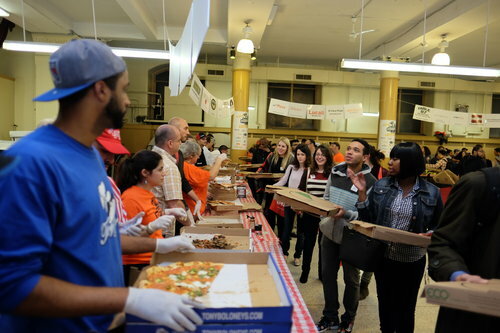 On October 10, 2018 in the social hall, over fifty pizzerias donated 1,200 pizzas to the event. which earned $70,000, all of which will be donated to local food banks and programs to assist the hungry. 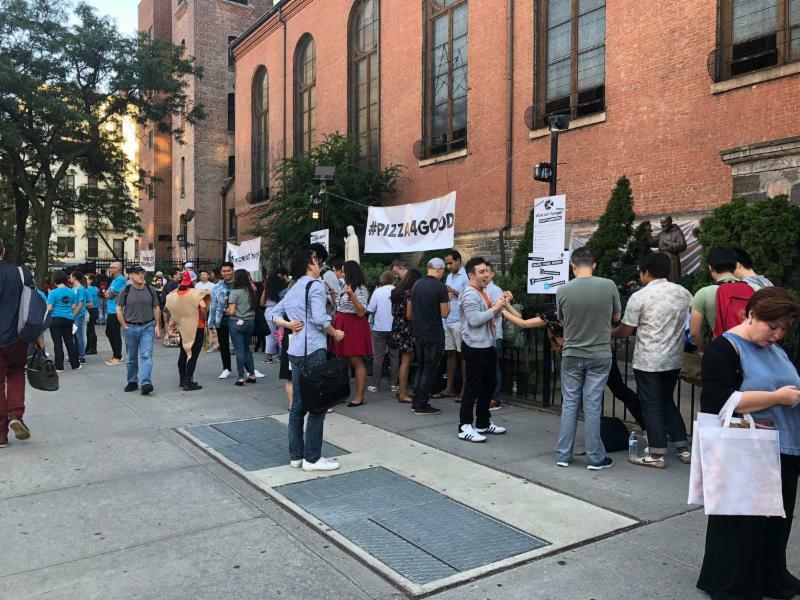 That low entry price—most people spent about $10 to $20—ensured that Slice Out Hunger was once again a charity "ball" that anyone with line-standing patience and a passion for pizza could participate in, though a few $100 VIP passes were sold as well. 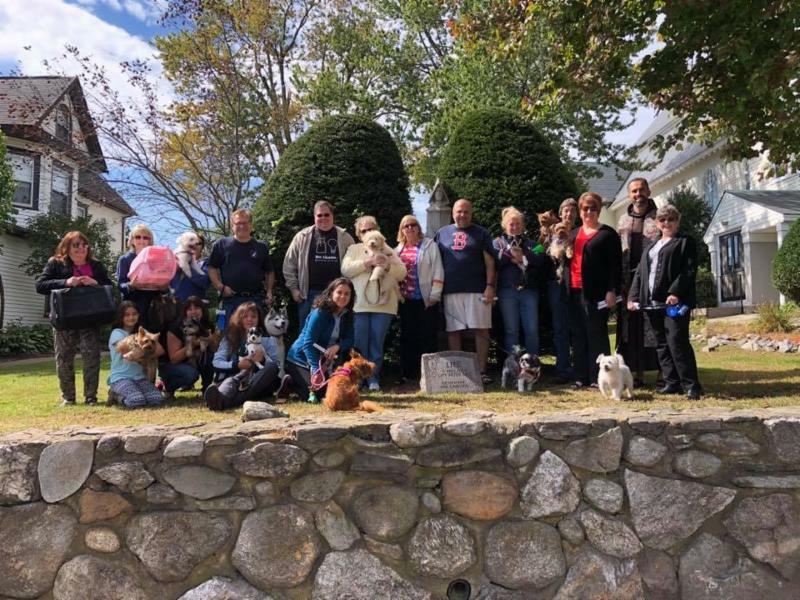 The event is now in its ninth year and has raised a tremendous amount of money for hunger relief organizations. 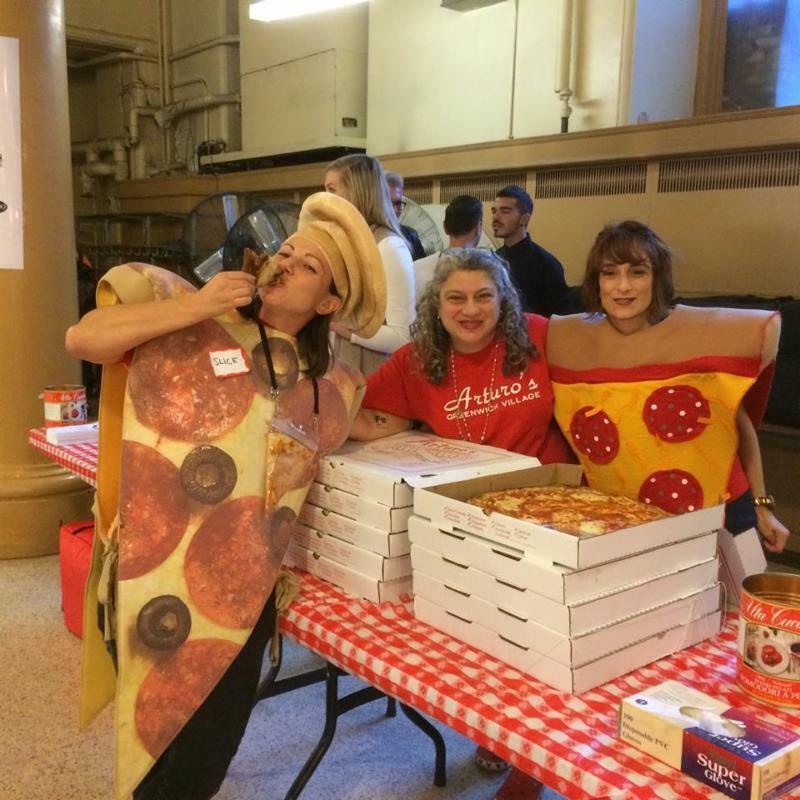 Lisa Giunta, friend of the friars and owner of Arturo's on W. Houston and Thompson Street, with her "pizza friends." 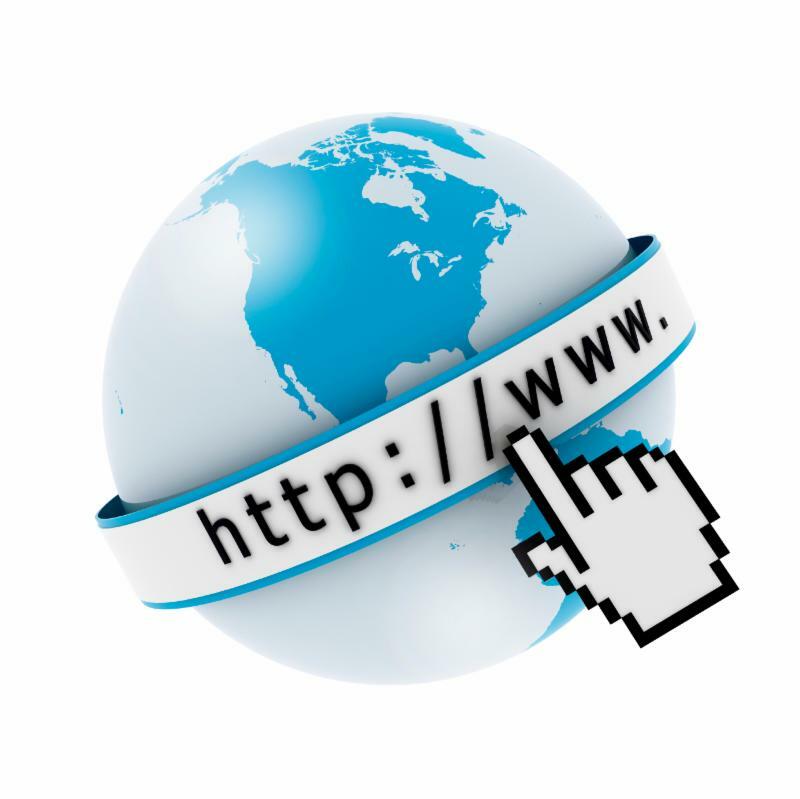 You don't have to wait for the Newsletter...get the latest news! 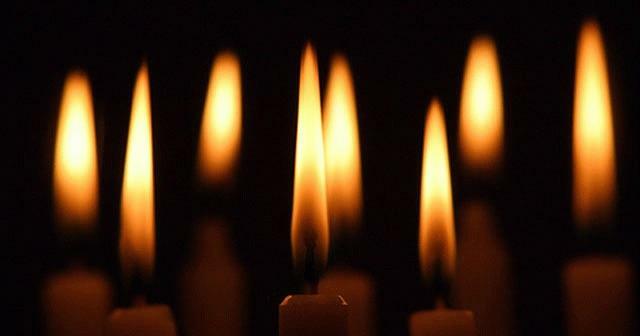 who passed into eternal life on August 16.
who passed into eternal life on July 9. Maria Grazia Nardoianni , mother of Friar Antonio Nardoianni, OFM, who passed into eternal life on April 26. Please print out a copy of this newsletter to share with those in your community who do not have email. 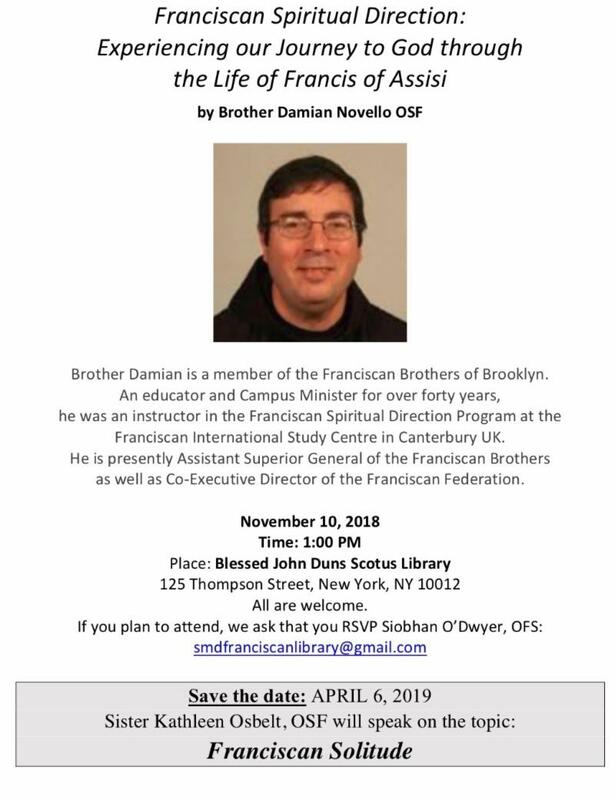 We hope that every friar in our province will have access to the Newsletter and that a printed copy will be posted on your friary bulletin board. 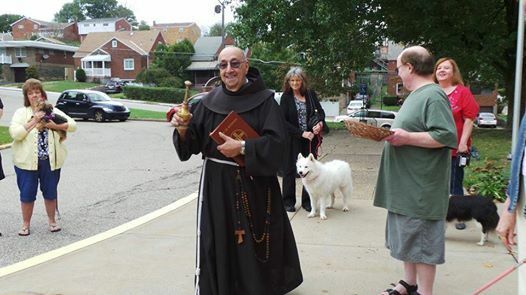 Friar Joseph F Lorenzo, O.F.M.